Not all trainers are created equal. 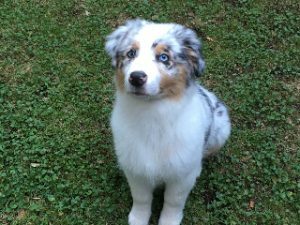 Finding the best dog trainer for your dog may take a little more research, but your canine is worth the effort. Recently I was on a run with a friend, and we were talking about how many dogs we saw along the way, as well as the people who were leading them. It was easy to spot the professionals, as they often had several dogs on leash. In my experience, my friend’s observation was spot on. 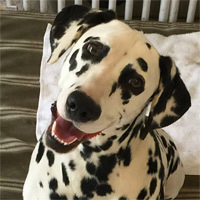 Many folks out there think that just because they’ve had dogs, grew up with dogs, love dogs, know dogs and/or watch TV shows about dog training, they know all there is to know about training canines. That would be the same thing as me saying, “I love to bake, and I live for watching the shows on the Food Network. Once I even won a blue ribbon in a brownie baking competition. So I’m clearly a professional baker.” While you might encourage me to donate treats to your bake sale, there’s no way you’d hire me to make your wedding cake. When you work in a specialized field, in order to elevate your status from amateur to professional, training and education is a must. Ask about training techniques and approach. Humane, force-free methods for training are the best and only techniques a trainer should use. 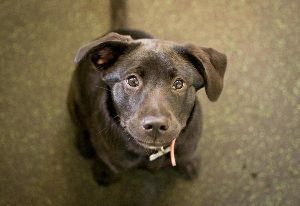 These go beyond “positive reinforcement,” as there are some trainers out there who use both positive reinforcement (i.e. treats, petting, praise) and “positive punishment” (i.e. collar corrections, alpha-rolls, aversive training collars). This is a contradiction in terms AND in approach, and also sure signs that your pet will at the very least get mixed messages, and possibly be subject to inhumane treatment. Ask specific questions as to which training methods the prospective trainer uses, and under which circumstances. Inquire about education and certifications. 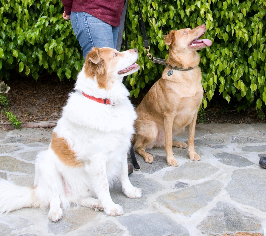 Whether you’re looking for private training for behavior specifics, puppy or basic manners classes, sports-related courses such as agility, Nose Work, and Canine Freestyle, or specialty Therapy Dog courses, professional training is a must. What schools or programs has the prospective trainer attended? Do they belong to groups or organizations that are respected across the industry? 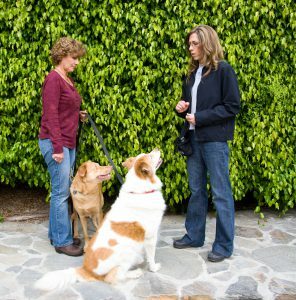 Keep in mind that not all dog training organizations are created equal – there are some that anyone can join, whether they are a trainer or not. Others, such as the Certification Council for Professional Dog Trainers, literally certifies people in areas of both training and behavior. They require exams and letters of recommendation, along with continuing education credits for maintaining certifications. If someone says they became a trainer because they love dogs and are good with them and/or got their DIY training from YouTube videos, you really should think twice before hiring that person for professional services. Also, be aware of the self-titled “dog behaviorist.” A true animal behaviorist holds a graduate degree in that field. This is an important distinction to make – and if your pet requires sincere behavioral modification, be sure that the person you are hiring to work with him or her has the education and experience necessary to truly help your pet. Check that your trainer has both transparency and integrity. Trust and honesty are important in any relationship, amiright? Trainers worth their salt will admit if a specific case is outside their scope of practice, or they are unfamiliar with the situation presented. For instance, when clients ask me about issues that might have an underlying medical origin, I always refer them to their vet. I often get questions about foods a particular dog should eat. Again, this is a question for that animal’s vet. While I can offer up tips for enrichment activities and how a dog should have his or her meal delivered (i.e. 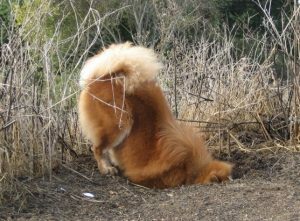 food toys, scavenger hunts, training), I refrain from advising what a dog should eat, since dietary concerns, age of the pet, and so on really influences what is best to feed a particular canine. Similar to choosing any professional that you’ll work closely with, personality, graciousness, and communication are key. While you want to choose someone your dog likes and trust, you have to share the same sentiments as your pet. It’s not the dogs that call for training needs (although sometimes we wish they would speak up! ), it is the people. Just like you wouldn’t choose a nanny to watch your child without seeing how well she or he meshes with your family, you should definitely be conscious of how you get along with the prospective dog trainer, as well as how clearly he or she communicates with you, not just your dog. 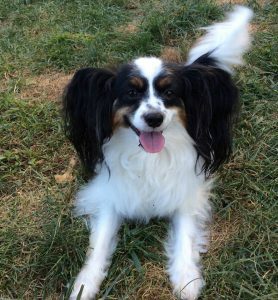 The goal is to have someone in place that you enjoy and can rely upon but who also makes sure you have all the information necessary to reinforce the work she or he has done with your dog. 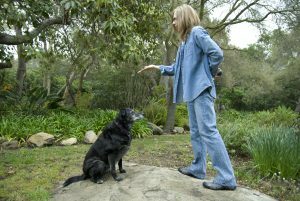 Zazie Todd, PhD, a colleague and fellow graduate of The Academy for Dog Trainers runs a website called Companion Animal Psychology, and she has fabulous tips for choosing a dog trainer. The Humane Society of the United States also recommends finding those who have specific qualifications, continue their education, and maintain industry specific certification when consulting for dog training and behavior modification services. For reputable websites that can refer you to a certified, professional dog trainer or veterinary behaviorist, you can go to: The Certification Council for Professional Dog Trainers, International Association of Animal Behavior Consultants, and American College of Veterinary Behaviorists. 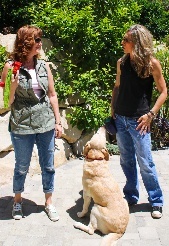 What do you, or would you, look for when looking for the best dog trainer for your dog? Just head to the comment section below to join the conversation. And remember, we invite you to share pics and videos of your inquisitive canine on our Facebook page. Or, follow us on Twitter – Tweet to us and we’ll Tweet ya back!